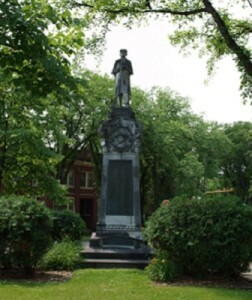 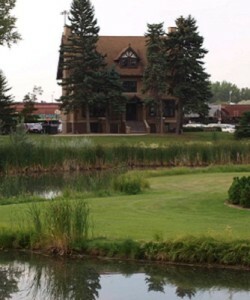 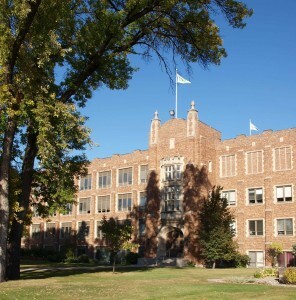 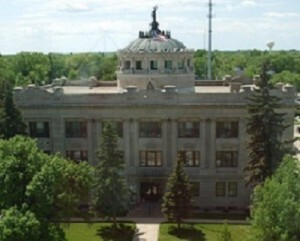 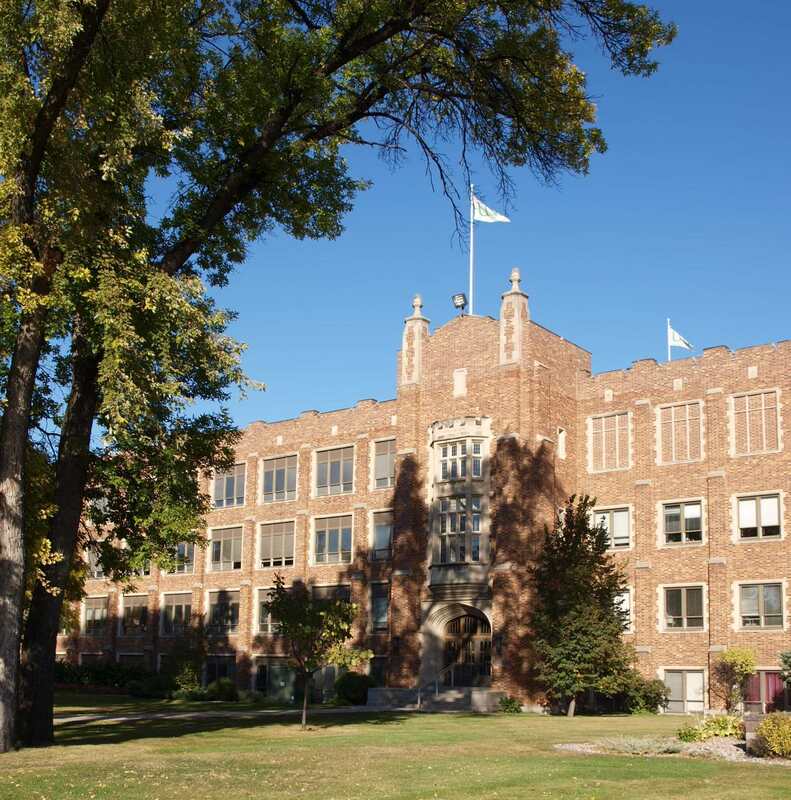 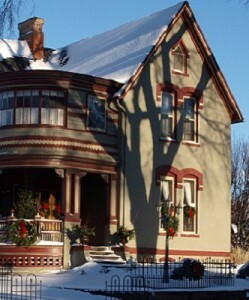 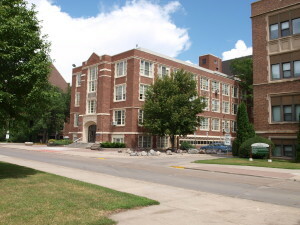 The UND Historic District encompasses most of the historic core campus. 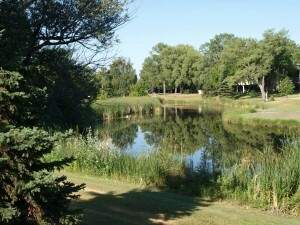 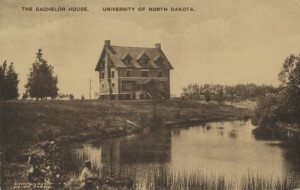 Its boundaries reach, roughly, from the English Coulee (west) to University Park (east), and from Campus Road (south) to 5th Avenue North (north). 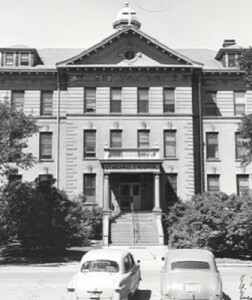 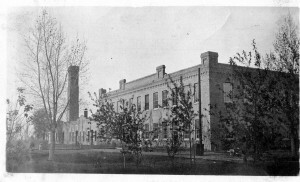 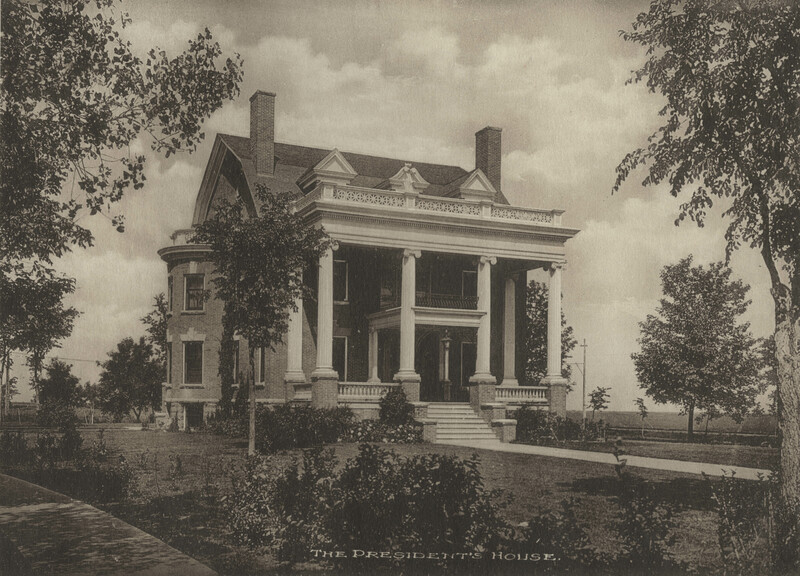 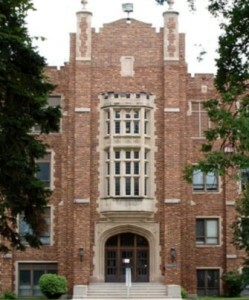 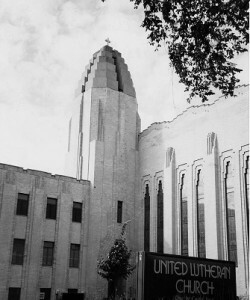 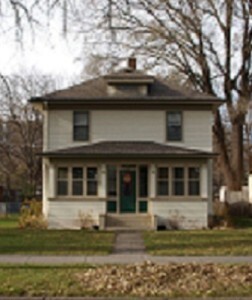 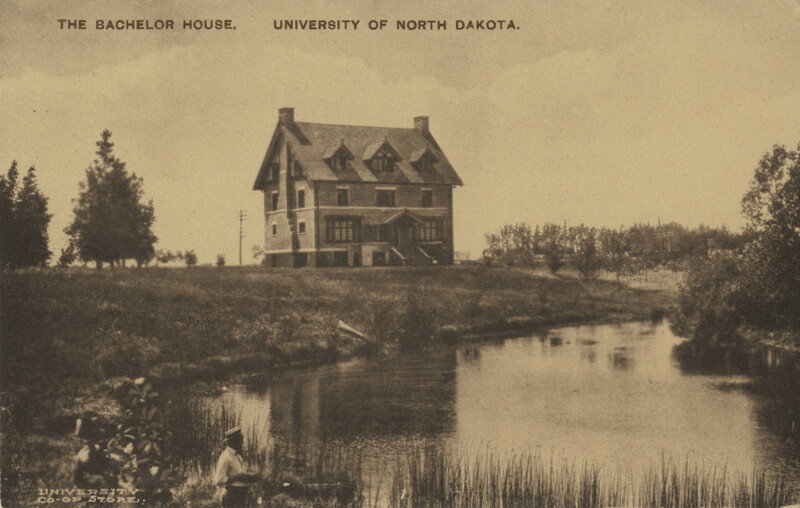 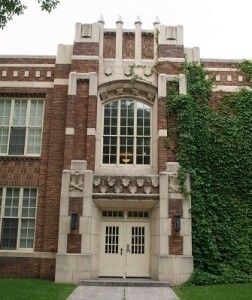 The period of significance dates from UND’s establishment in 1883 until the end of the post-WWII building boom in 1965. 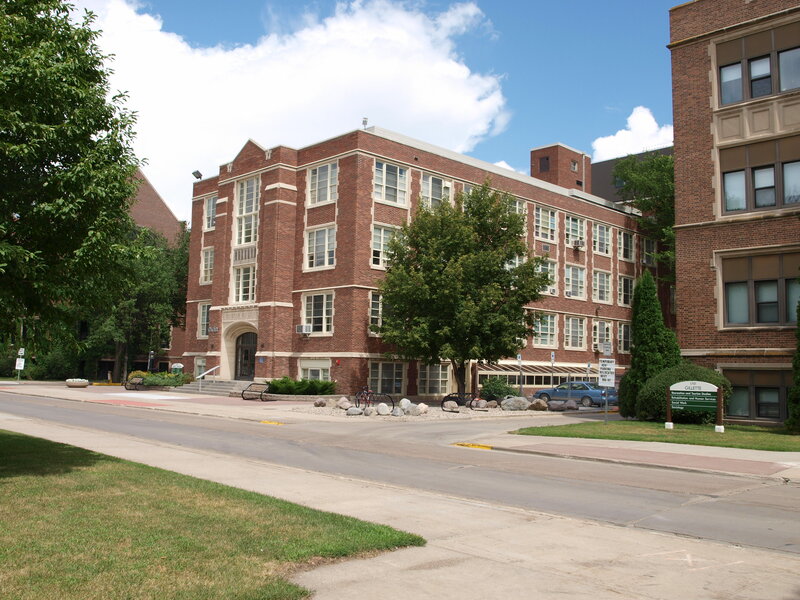 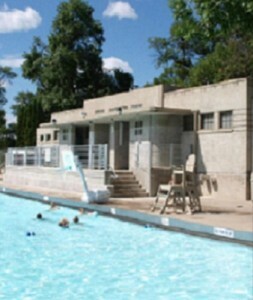 Buildings, spaces and structures (56 in all) that were affiliated with the university during that time frame, and which have retained a significant level of architectural or spacial integrity, are included in the historic district. Campus architecture is dominated by an architectural style known as Collegiate Gothic. 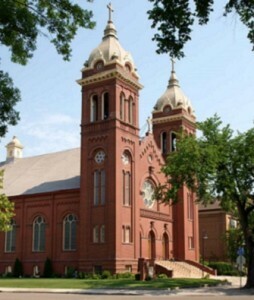 This style features brick exteriors, stone window and door surrounds, crenellated parapets, gothic-arched entrances, and multi-light windows. 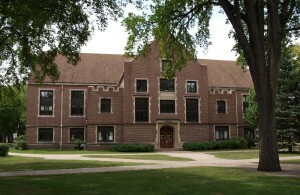 The prime example is Merrifield Hall (seen below) but most of the buildings on the main quadrangle are built in this style. Tudor Revival is another popular campus architectural style; half-timbering with stucco and brickwork, steeply pitched roofs, and dormer windows are common elements. 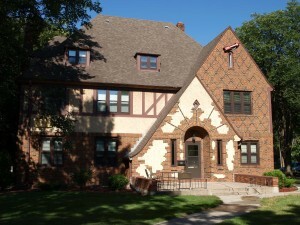 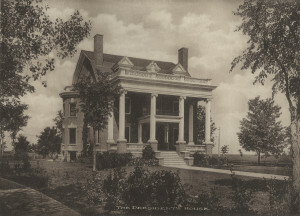 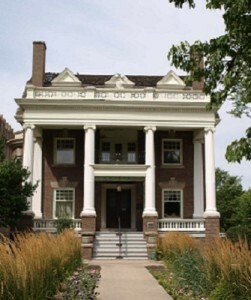 Montgomery Hall and several sororities are excellent examples of this style.